New Oral History Interview – Michael Pick of Stair & Co.
Our Oral History Interviews with key members of the antique trade continues – thanks to the energy and enthusiasm of Chris Coles, our Lead Volunteer Researcher; and thanks again to the BADA, who so generously support these new ‘BADA Voices’ extensions to the Oral History research theme for the Antique Dealers project. 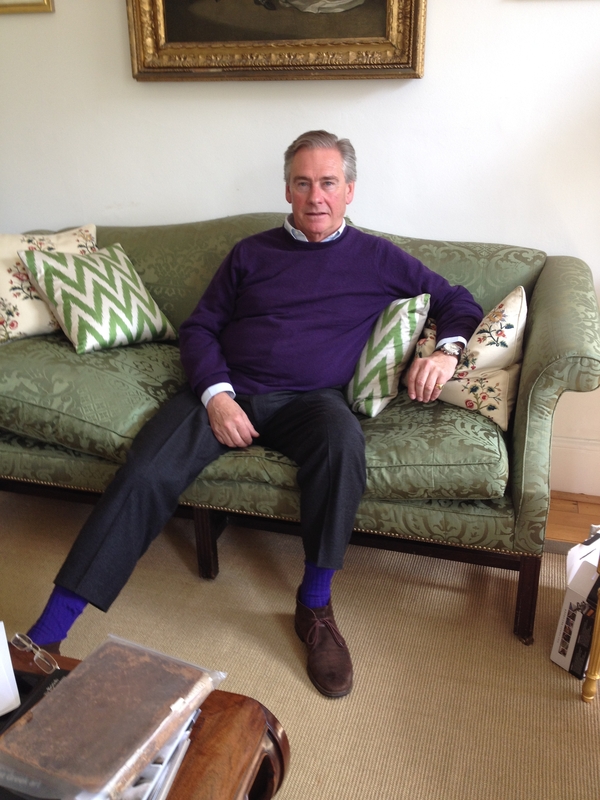 Our new interview is with Michael Pick, who for many years worked at the well-known English Furniture dealers Stair & Company – Michael also worked at Frank Partridge & Co., so his experience at the top of the antique trade is very considerable indeed. 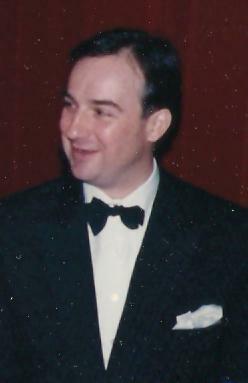 Michael Pick, in 1995, whilst at Stair & Co. Photograph courtesy of Michael Pick. Catalogue of Stair & Andrew, c.1920s. Private collection. During this highly engaging interview Michael told us how he was introduced to the world of antiques by the well-known writer on collecting, Bevis Hillier (who was at the time at Connoisseur Magazine) before he eventually obtained a position with Stair & Co in 1978. Michael reflected on his time at Stair & Co., recalling the regular buying trips with Mary Holder around the other London dealers, in the Fulham Road and Kensington Church Street in the 1970s and 1980s. 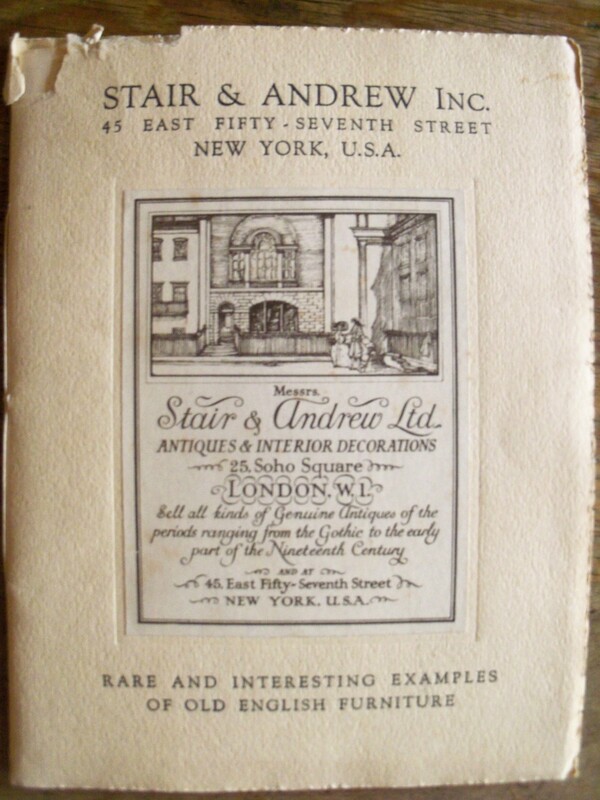 As Michael suggested during the interview, the importance of American collectors to many British antique businesses, not least Stair & Co., was a key theme. Stair had opened shops in Palm Beach and Williamsburg in the USA after WWII, expanding their American operations that had been established by Stair & Andrew in New York in 1911. Michael highlighted how crucial the UK-USA market was to the Stair business, recalling that Alastair Stair came to London 2 or 3 times a year with his wife Phyllis, buying 300 or so pieces on each trip to feed the appetite for American collectors and decorators. As many of the followers of the Antiques Dealer project will be aware, Stair & Co was bought by the music mogul and antique collector Jules Stein (1896-1981) (owner of MCA, Music Corporation of America and film star agent), in 1952; the business was sold to the financier David Murdoch in 1981 after the death of Stein. Michael tells us that the Stair business shifted slightly with the acquisition by Murdoch, moving to a much more eclectic look, a mixture of old and new, that is now so fashionable. Indeed it seems that David Murdoch preferred this look, exemplified, as Michael tells us, in the collections that Murdoch assembled at his home ‘Casa Encantada’ in Bel Air, Los Angeles. This was a property originally built in the 1930s for the Hylda Boldt Webber, before being bought by the hotelier Conrad Hilton (1887-1979) who sold the house to Murdoch in 1979, shortly before Murdoch bought the Stair & Co business. 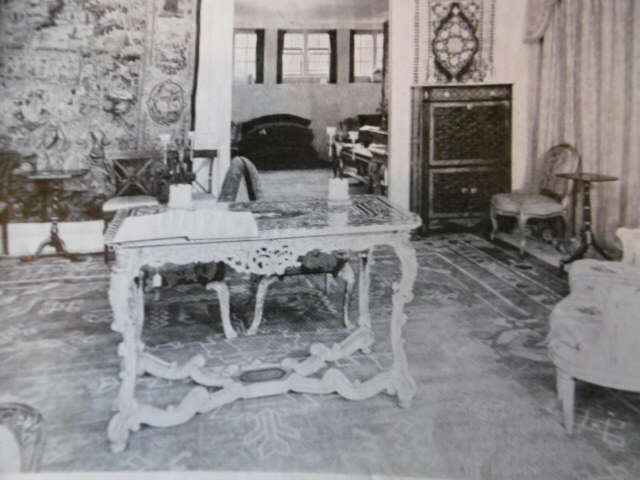 And here’s a an early photograph of ‘Casa Encantada’ (taken in 1939), when it was then owned by Mrs Boldt Webber. Casa Encanada, Bel Air, Los Angeles, in 1939, the home of Mrs Boldt Webber. Photograph copyright University of California. 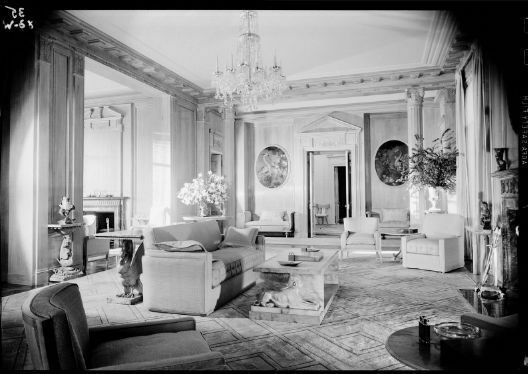 Murdoch apparently purchased the Bel Air mansion fully furnished from Conrad Hilton, before selling the contents and refurnishing the property with, then, very fashionable ‘English Antiques’. These recollections from Michael certainly reinforce the historical significance of the transatlantic trade in antiques, not just in the opening decades of the 20th century (as many people will know), but also how these significant exchanges continued throughout the 20th century. Our interview with Michael continued with his reflections on his move to Frank Partridge & Sons in 2001; Michael recalled that the most significant change was not so much in the quality of the objects that Stair & Co and Partridge sold, but more in the sheer scale of the operations – Michael tells us that Stair & Co had just 3 members of staff, whilst Partridge had as many as 32 members of staff when he joined the firm. 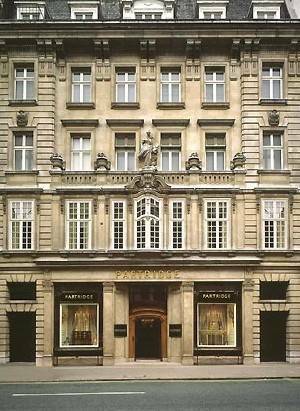 Partridge & Co., New Bond Street, London, c.2000. There are many other fascinating observations on the history of the antique trade in our interview with Michael, from the changing taste in antiques, the presentation (and sales ticketing) of objects, to the increasing significance of Antique Fairs. Like all of our other Oral History interviews with members of the antique trade, our interview with Michael will be available via the project websites, once our team have had a chance to edit the interview. Our thanks go to Michael and Chris for all their help with the ‘Voices from the Trade’ oral history interviews project. Our latest Oral History Interview took place last week, with Lanto Synge in the interviewee chair. The interview was conducted by our lead project volunteer, Chris Coles (thank you again Chris!) and is part of our continued efforts to capture the Voices from the Trade as part of the ‘BADA Voices’ extension to the Oral History project (thanks again to the BADA for their support). Lanto, as many of you will know, worked at the world-famous antique dealers Mallett & Sons for almost 40 years, after joining the firm in 1969, rising through the ranks to ultimately become Chief Executive of the firm in 1997; Lanto eventually retired in 2009. Lanto Synge, formerly of Mallet & Sons (Antiques). Photograph courtesy of Lanto Synge. 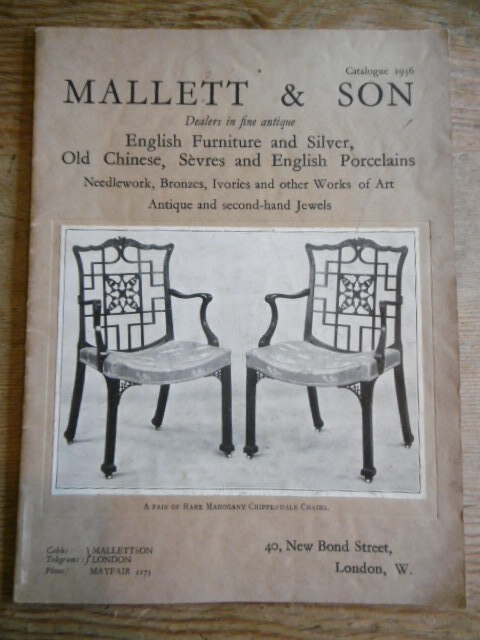 Catalogue from Mallett & Son, 1930s. In this absolutely absorbing interview Lanto recalls the history of Mallet & Sons – they are one of the oldest antique dealing firms in the world, established in 1865 by John Mallett in Milsom Street, Bath, Somerset. During the interview Lanto reflected on his memories of working at the firm during the 1960s-1990s and describes the changes in marketing practices, the displays in the galleries (there were 28 rooms of antique furniture and objects in Mallett’s Bond Street showrooms by the time Lanto retired in 2009); he also recalls the various individuals involved in the business over the period he worked at Mallett. Lanto was also instrumental in the development of Mallett’s antique business in Australia and during the interview he reflects on the expanding business for antiques in the 1980s. 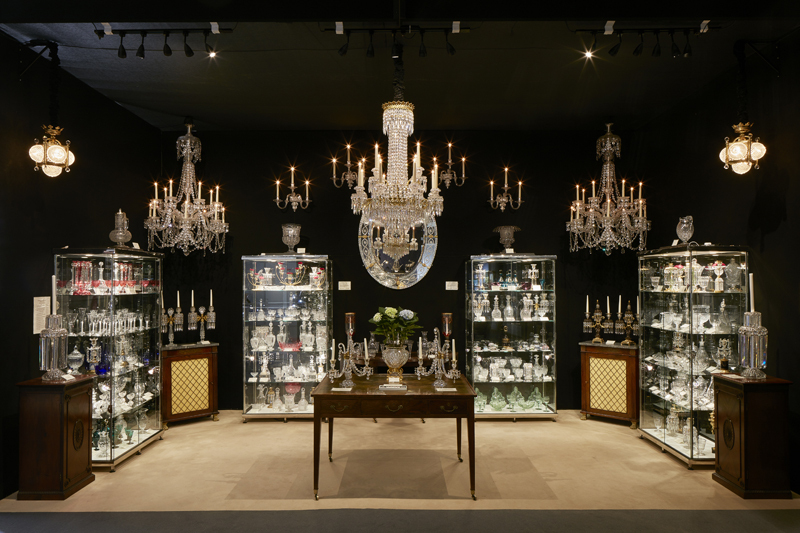 There are some fascinating memories on many leading dealers and collectors, as well as observations on the role of the antique fair (especially The Grosvenor House Fair) in the developing antique trade. Lanto is also a leading expert and author on the subject of antique textiles, and his enthusiasm, and expertise, is clearly expressed in a series of engaging reflections on the development of his interest in antique textiles and tapestries. Our interview with Lanto, as with all of the other Oral History interviews we have undertaken for the Antique Dealers Research Project, will be edited and made available in due course. Thank you again to Lanto and Chris Coles for taking the time to expand our Oral History strand of the research project. We recently completed the latest in our series of Oral History interviews, as part of the extension to the research theme under the ‘BADA Voices’ project – and thank you again to Marco, Mark and the team at the BADA for generously supporting these new oral history interviews. 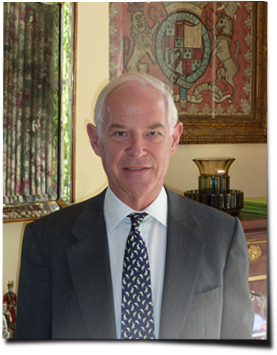 Our latest interviewee was the leading antique furniture dealer John Hill, of Jeremy Limited; the interview was undertaken by Chris Coles, our Lead Volunteer for the Antique Dealers research project. 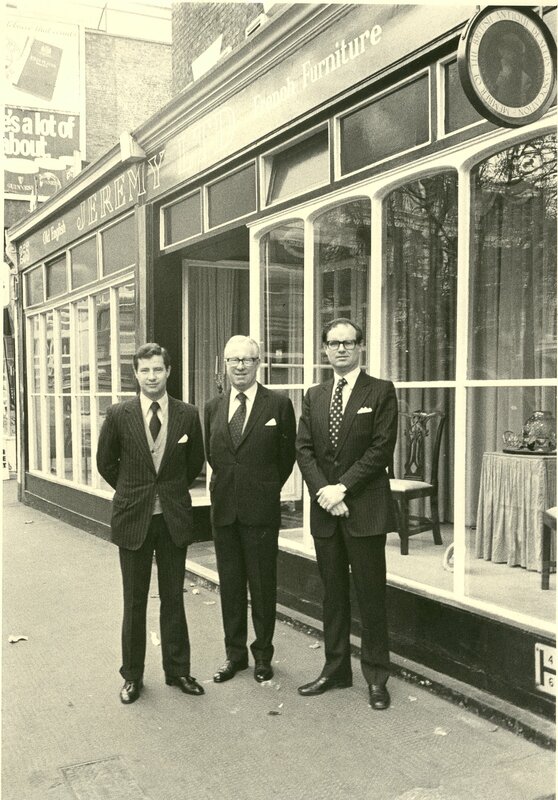 John, Geoffrey and Michael Hill, outside of Jeremy Limited. Photograph courtesy of John Hill. During this absolutely fascinating interview, John recalls the early history of the business of Jeremy Limited, established in 1946 by John’s father Geoffrey Hill, and well-known for their shop in the King’s Road, London. John tells us how the firm got its name (his father was known to friends as ‘Jeremy’) and of his memories of many other key members of the London antique trade, including John Partridge, Francis Egerton of Mallett & Son and Horace Baxter of H.C. Baxter & Sons (we have also, as followers of the research project will know, interviewed both John Partridge Jnr and Gary Baxter, Horace Baxter’s son). 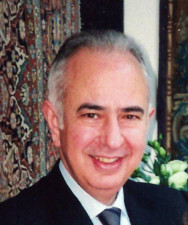 John also offered some interesting reflections on the marketing techniques of the firm during the 1960s and 1970s, and some absorbing memories of the Mentmore auction sale, conducted by Sotheby’s in 1977 – considered to be one of the key country house sales of the 20th century. As will all of our Oral History interviews, our interview with John will, as soon as we are able, be edited, approved, and uploaded to the project website. 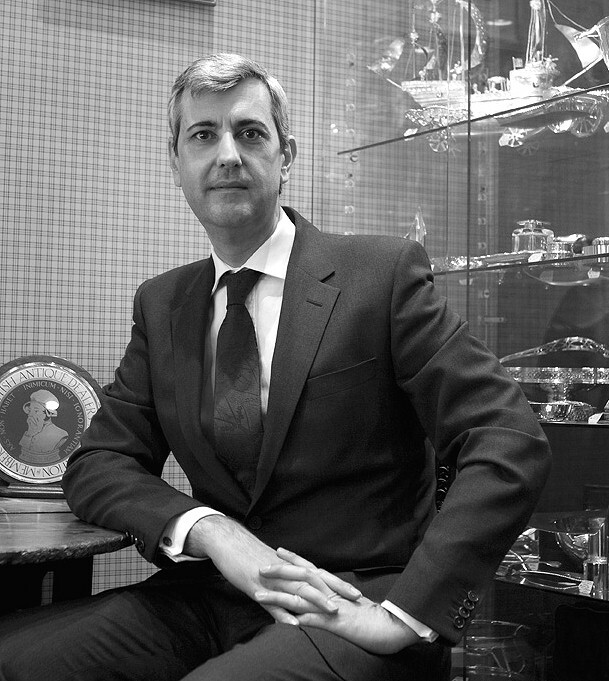 We are having a busy few weeks with the Oral History Interviews – as well as our recent interview with Lennox Cato, we’ve also completed an interview with the well-known Antique Silver specialist Daniel Bexfield. The interview was conducted by our Project Lead Volunteer, Chris Coles, at Daniel’s shop in London. Daniel Bexfield. Photograph courtesy and copyright of Daniel Bexfield. 2015. 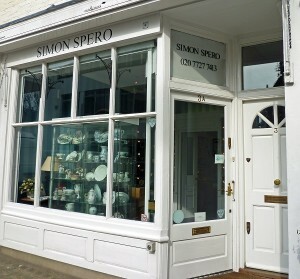 Daniel and Chris had a fantastically interesting discussion on life as an antique silver dealer – and Daniel recalled his early career as a dealer in the antique markets at Bermondsey and Portobello Road, before he established his first permanent shop in the famous Burlington Arcade in the West End of London. The interview, as with all our project interviews, will soon be available via the project website – just need to edit them etc…. We now have an expanding range of interviews with specialist dealers – antique furniture dealers, antique textile dealers, antique silver dealers, antique glass specialists, wine antiques specialists….we’re on the hunt for an antique ceramics specialist at present! Thanks again to Daniel, and to Chris, for such an interesting interview. Our interview with Philip Astley-Jones was undertaken by our research fellow Lizzy Jamieson – Philip gave us some absolutely fascinating memories of his time with Roger Warner in his shop in Burford, Oxfordshire. Philip Astley-Jones, 2015. Photograph EJ (Antique Dealers Project, Leeds University). Philip started with Roger Warner in 1965, and he gave us amazingly vivid descriptions of the day-to-day life in the shop, and the buying activities of Roger. As you may know, Roger Warner was famous for his acquisitions of the historic and the curious, and in the interview we heard of buying objects from great Country Houses such as Chastleton, in Oxfordshire – (now a National Trust House). Philip regaled us with lots of fascinating stories of other buying trips – including the amazing story of how Roger found the original Capability Brown map of Moccas Court, rolled up in a long tin canister on top of a bookcase at the house. 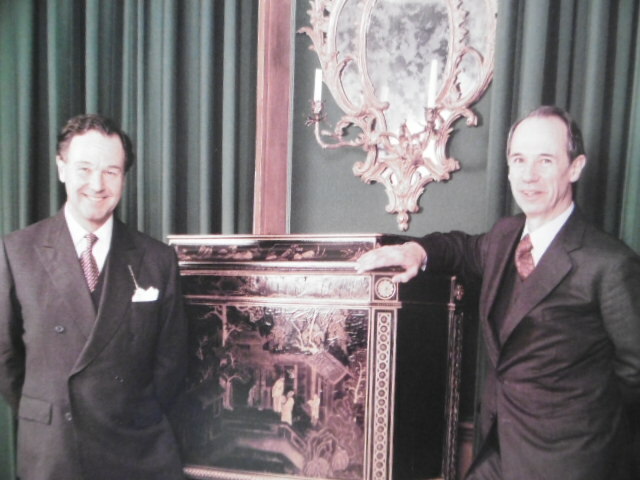 Philip left Roger Warner in 1976, moving to Los Angeles, then Amsterdam, before returning to London and taking over the well-known antique restorers, Hatfields. In a wide ranging interview, Philip also reflected on the potential future for the antique trade – it’s a lovely interview, full of detail, and you will soon be able to listen to it via our project websites – so do keep an eye on developments. Our other interview was undertaken by one of our most active project volunteer researchers, Chris Coles. Chris interviewed Leon Sassoon, of the specialist textiles and antique carpets and rugs dealer C. John who are now trading in South Audley Street, Mayfair, London. In an absolutely fascinating interview Leon told us about the beginnings of the firm of C. John, which was started by Leon’s uncle in Oxford in 1933; see below for a photograph of the premises at 36 High Street, Oxford in the 1930s. Their shop in Oxford was eventually closed in 1976, to allow concentration on their shop in London. 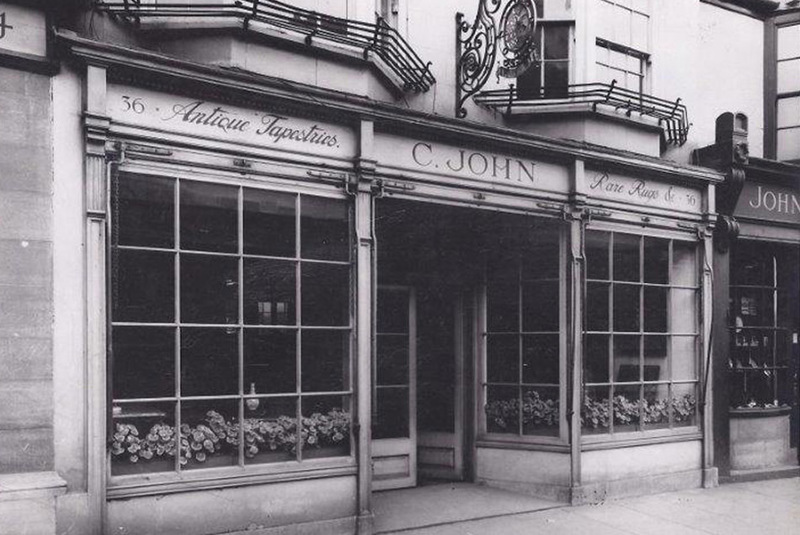 C. John, 36 High Street, Oxford, 1930s. Photograph copyright C. John . 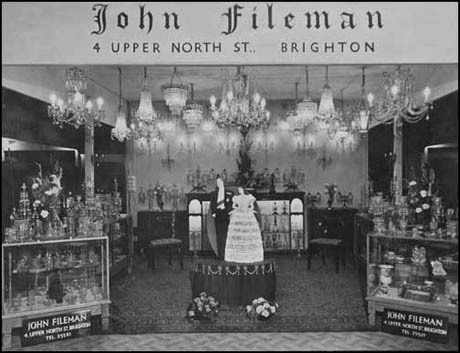 The business of C. John is world famous for antique carpets and rugs of course, but it was intriguing to hear that when the firm was initially set up by Mr John he was just as interested in antique furniture as he was in antique carpets – indeed, this interior photograph of the Oxford shop from 1945 illustrates the stock of furniture then held by C. John – as well as the firm’s well-known interest in carpets, tapestries and rugs. C. John, interior of shop in Oxford, 1945. Image from ‘Antiques Yearbook’ 1945. Leon also told us about his memories of the antique carpet trade since he started with his uncle in the late 1960s; during his time in the business many great carpet and textile dealers have gone – Mayorcas, Arditti, Vigo Galleries, Sternberg, Benardout, all great names in the history of the antique trade, are no longer with us. Indeed, C. John, along with S. Frances (est 1909) as Leon said, are the last of the great tapestry and antique carpet dealers. Leon tempered that by emphasizing that a new generation of carpet and textiles dealers have also emerged over the last years…so it’s not all doom and gloom! In our interview, Leon also reflected on the changing landscape of the antique trade, and on his relationships with some major collectors of carpets, and with museums, over the last 50 years. The interview is a fascinating insight into a very specialist area of the antique trade, and we ‘re sure our interview with Leon will be a fantastic addition to the range of antique dealer interviews we are assembling as a result of the AHRC Antique Dealer project. Our response to ‘Get Involved’ in the Antique Dealer Project has it’s latest enthusiastic responder!…Chris Coles, of the Department of Prints and Drawings at the British Museum has pledged his help (and…that of his family…! )…Thanks Chris and Family for all your help so far. Only days in and already we have several Excel Spreadsheets (for Essex Trade Directories from the early 1920s) submitted for uploading to the developing interactive website…Brilliant Work!…And Chris is also helping out with Blogging…you can read his first post, on the infamous Antique Dealer Wilfred Bull, (prior post, below). Chris also composed a short biography for the project website(s)…. Hello, my name is Chris Coles. I work at the British Museum but I live for antiques! 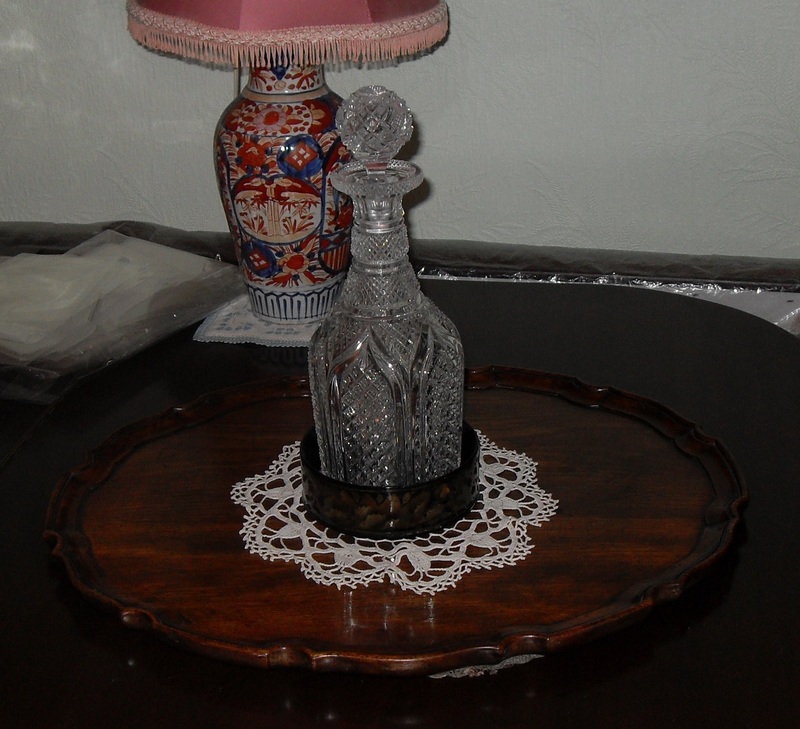 I started with cufflinks and stickpins and those are still the mainstays of my collection but I am also passionately interested in 18th century English furniture, Chelsea and Worcester porcelains, early English carpets and needlework, glass and decorative accessories (particularly those made from Blue John). As well as the pieces themselves I’ve always been fascinated by dealer ephemera and have stacks of old Connoisseur magazines, Grosvenor House Fair catalogues and dealer brochures. When I read about this project in the ATG I was extremely keen to get involved as it seemed like a perfect way to combine my interests and my skills and hopefully play a small part in something that will have a lasting positive impact on the trade and its reputation. I’ve roped my parents in to help with the project too and together we’re making our way through Kelly’s trade directories. I’d encourage anyone with even a passing interest in the trade to get involved in the project – it’s extremely satisfying watching your part of the data come together. ………Many thanks Chris for all your excellent help so far!